Which ‘milk’ do you buy? I personally am not a huge fan of cows milk. If I do ever buy milk, I buy Sunnydale which I can get at my local farmers markets or some of the smaller supermarkets. Their milk comes from guernsey cows which has a high concentration of A2 beta-casein proteins and is also non homogenised which is great. Homogenisation is basically another processed step to disperse the fat in the milk to make the particles smaller and less likely to float and sit on the top layer of the milk (anyone heard of shaking the milk instead, the less processed the better in my book!) I also buy full fat milk and make it ‘low fat’ by just diluting it with water, you would never know the difference….. 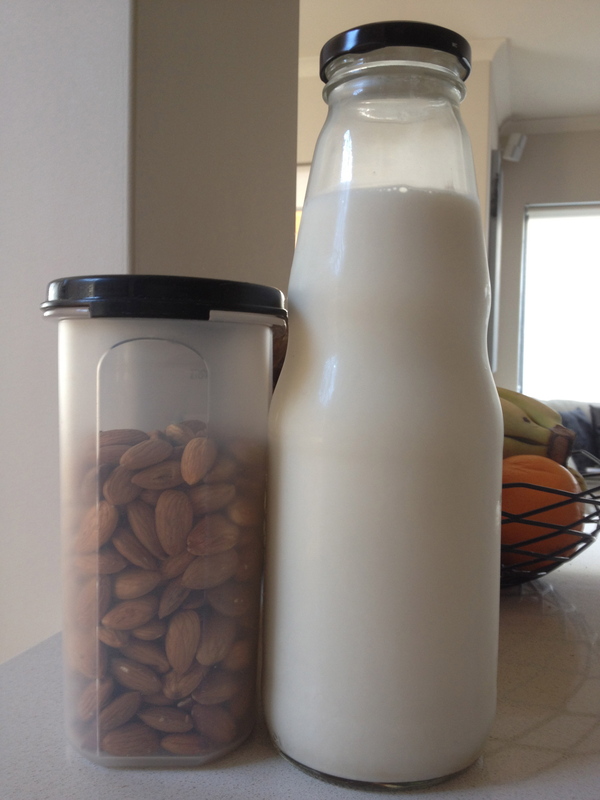 I like to make my own almond milk using my thermomix which is super easy. I always soak my nuts first, approximately 100g and then blend with 1 litre of water and 1 date for some sweetness. Strain the milk through a nut bag and then use the leftover almond pulp to make protein balls. 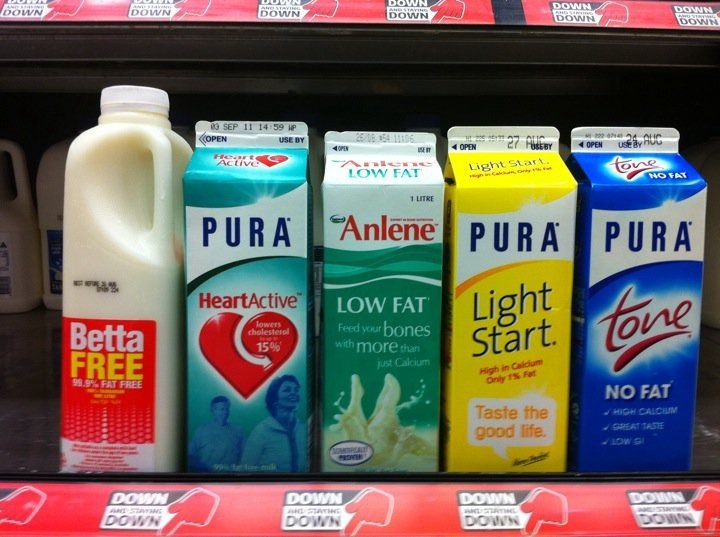 Did you notice in the pic above that not one of the milks actually has ‘milk’ written on the carton… Next time you are at the supermarket, pick one of these up and have a read of the ingredients, you may be a little shocked.